PALM DESERT, Calif. /California Newswire/ — Bank of Southern California (FBBN / FBBN:OTC US) today announced that Irwin Golds, long time Coachella Valley banking and business executive has been appointed to the company's board of directors. Currently, Irwin serves as the CEO and co-founder of Capitis Real Estate, a real estate brokerage, escrow and investment firm. Mr. Golds' professional career includes extensive experience in banking, serving as a founder of Desert Commercial Bank and Interim President and Board Director at Palm Desert National Bank. During his professional career Mr. Golds served as partner in two well respected law firms, until retiring from the practice of law in 2003. Mr. Golds currently serves on the Board of the Desert Community Foundation and the Board of the UCLA Alumni Association. "Irwin is an influential community leader in the Coachella Valley, and given the importance of the desert region to Bank of Southern California, we are extremely pleased that Irwin has joined our board of directors," commented Nathan Rogge, CEO of Bank of Southern California. "He brings a wealth of experience from a variety of perspectives, and his insight of the Coachella Valley will help us as we continue to grow the bank in that market." In December 2010, the bank acquired the La Quinta and Palm Springs branches from Palm Desert National Bank as its entry into the Coachella Valley which the bank sees as a key Southern California market. Then in March 2013, Bank of Southern California acquired the La Quinta office building that they had leased for the prior two years. And in September 2013, the bank hired Kevin McGuire, former CEO and Chairman of Palm Desert National Bank to help lead its growth in the market. "The addition of Irwin and Kevin, and our purchase of the office building in La Quinta are a reflection of our long-term commitment to the Valley and our desire to more fully and permanently serve our clients in the Desert Cities area. The Valley has recently lost many of its long term community banks through mergers and acquisition, and Bank of Southern California fills that void," concluded Nathan Rogge. 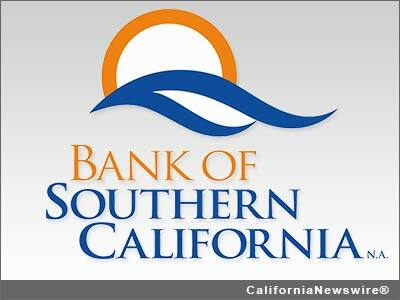 Established in 2001, Bank of Southern California, N.A. (FBBN), a national bank with headquarters in San Diego, Calif., is locally owned and managed and committed to meeting the unique business, professional and personal banking needs of the Southern California communities it serves. With six offices in San Diego County and the Coachella Valley in Riverside County, Bank of Southern California remains one of the strongest, well-capitalized banks in the region.